According to the National Association of Realtors, 69 percent of Realtors use Facebook professionally, and 61 percent use LinkedIn. 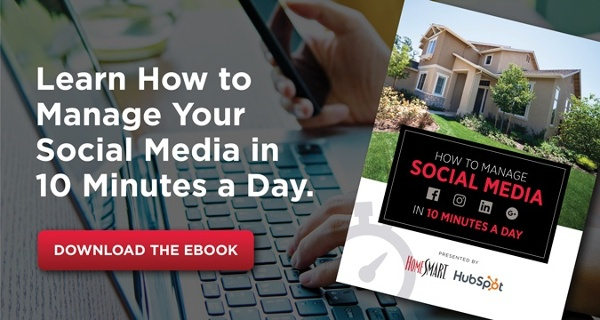 Another NAR survey found that 77 percent of all Realtors use some form of social media, with Facebook and LinkedIn predictably the top channels among these agents. Those numbers are improving, but there’s still a long way to go—and golden opportunities to capture..
Word of mouth will never diminish as an important source of recommendations and reputation, but in the digital era, online reviews have gained equal footing. According to the 2017 BrightLocal Local Consumer Review Survey, 85 percent of consumers trust online reviews as much as they do personal recommendations. Potential customers appreciate what their friends and family say, but they also place a good deal of faith in everyone else’s opinion. Real estate client testimonials provide a neutral, third-party point of view that carries a surprising amount of weight that can’t be overlooked. Review sites—namely Google, Zillow, Yelp, Realtor.com, and even and the review features on Facebook—are obvious channels for testimonials, but creative posting on social media networks such as Instagram, Twitter, YouTube, and LinkedIn (as well as, of course, standard Facebook posts) is quickly becoming another powerful avenue to showcase positive feedback. Written copy and articles are always good content ideas, but an emerging tool for agents is live video: Facebook Live or Instagram Live. Consumers engage and respond to video unlike any other type of post on social media. Imagine a live update highlighting a home that just closed or interviews with the happy seller or the happy buyer. Notifications alert your followers to the live video, thus instantly engaging them to pay attention to your business and your clients’ experience. And because your clients (and possibly the properties transacted) are the focal point of the videos, viewers can be impressed by the social proof imparted by the testimonials. Of course, live video isn’t the only option to share real estate client testimonials. Photos, short written posts, and longer articles and recommendations, promoted across multiple channels, offer an impressive promotional blitz that showcases what your clients are saying about you. The great thing about success stories on social media is that you don’t have to post them—your clients can personally post stories on your pages and/or tag you and your agency on their own posts. Not only does this strategy provide a “don’t take our word for it” approach to testimonials, but your happy clients also can more easily share a positive review with their networks, who can share it with others, and so on. In this way, social media becomes truly social to market your business—with little effort on your part beyond delivering outstanding service to your clients. The question then becomes: How do you get happy clients to post reviews and social media testimonials on your behalf? The answer is easy: Ask! This may seem like an imposition, but if you’ve helped clients sell their homes or find the homes of their dreams (or both), they will likely be happy to return the favor. Moreover, you don’t need to wait until after closing to ask—plant the idea in your clients’ brains throughout the buying/selling process. Prepare a short script to ask for reviews (just as you have scripts for everything else you do as a real estate agent), and personalize your requests, highlighting challenges you helped your clients overcome that they can elaborate upon in their posts. Longer reviews and testimonials are great, but even getting a picture of clients in front of their new homes delivers a small but impactful social media boost. Encourage buyers to post a photo, post it, and tag you. Or, take and post a picture of the happy customers yourself, tagging them so it reaches out to their networks. Monitor whatever conversations arise from these posts and enthusiastically respond. Little strategies such as these don’t require much time and effort from you or your clients but go a long way, over time, in building an impressive social media presence that attracts and engages customers. Finally, once you have a collection of positive reviews, testimonials, and tagged posts on social media, don’t be afraid to use them to sell yourself to new customers. Link to them from your website, cross-promote them on other channels (especially Zillow), and show them in meetings to potential clients. Emphasize that others trust you and that the prospect can, too. If you do this well, you will have another happy client in tow—a happy client who builds upon your social media presence with their own success story.